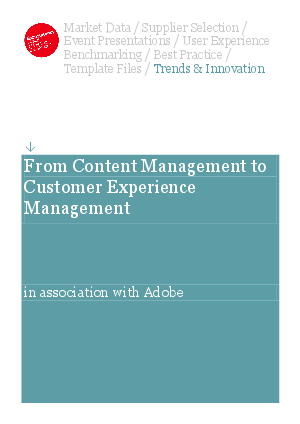 At Adobe, our key focus has been to help companies address the challenge of web content management in an increasingly mobile world where consumers are switching between devices. Adobe Experience Manager, part of Adobe Marketing Cloud, highlights our commitment to helping organisations deliver personalised experiences across the web, mobile devices, social community and video. Our mission is to help companies not only to deliver engaging experiences, but also to measure and quantify this activity. Hence we were delighted when Adobe was named the leader in Web Content Management for Digital Customer Experience in Forrester’s recent Wave report. We strongly believe that no one is better positioned than Adobe to help deliver consistent, compelling experiences across online properties that build brand and drive revenue.